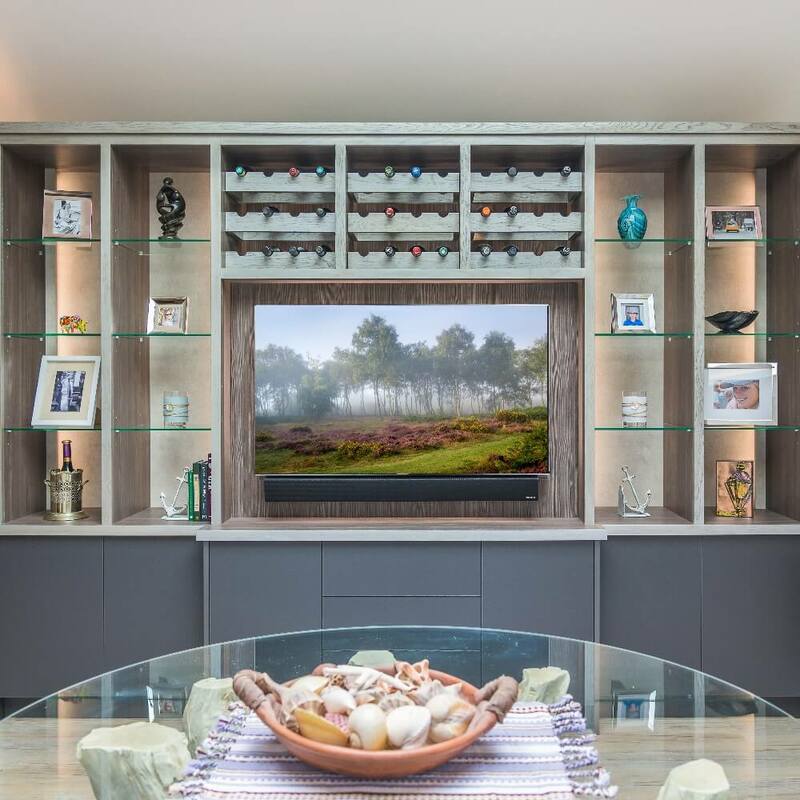 This beautiful Oak display unit houses audio visual equipment and provides stunning display areas including a wine rack. The whole oak unit has a silver wax finish to give it a cool modern appearance. 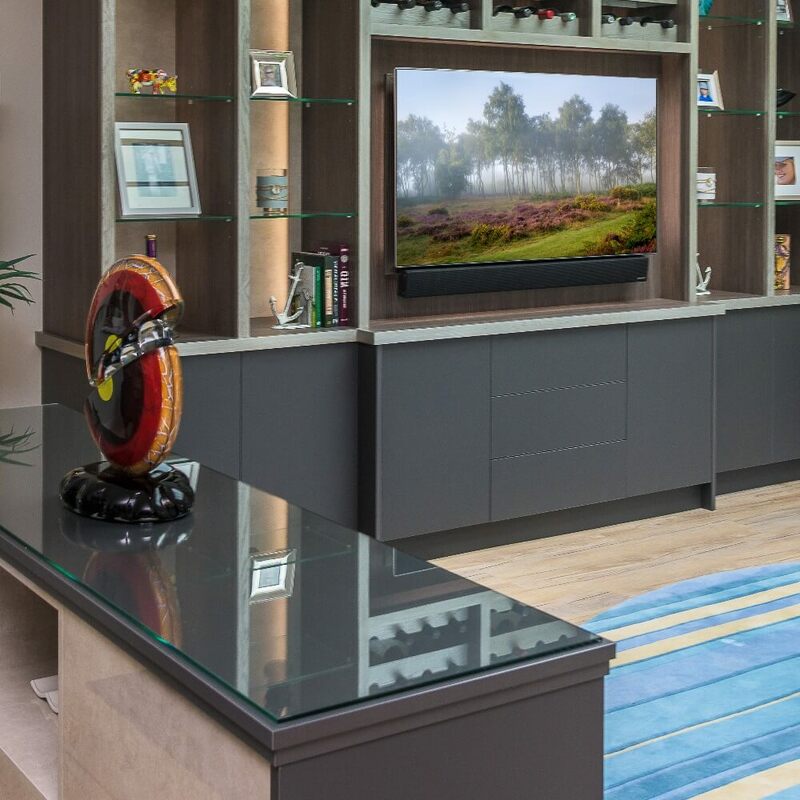 Complete your living room look with super cool bespoke furniture. 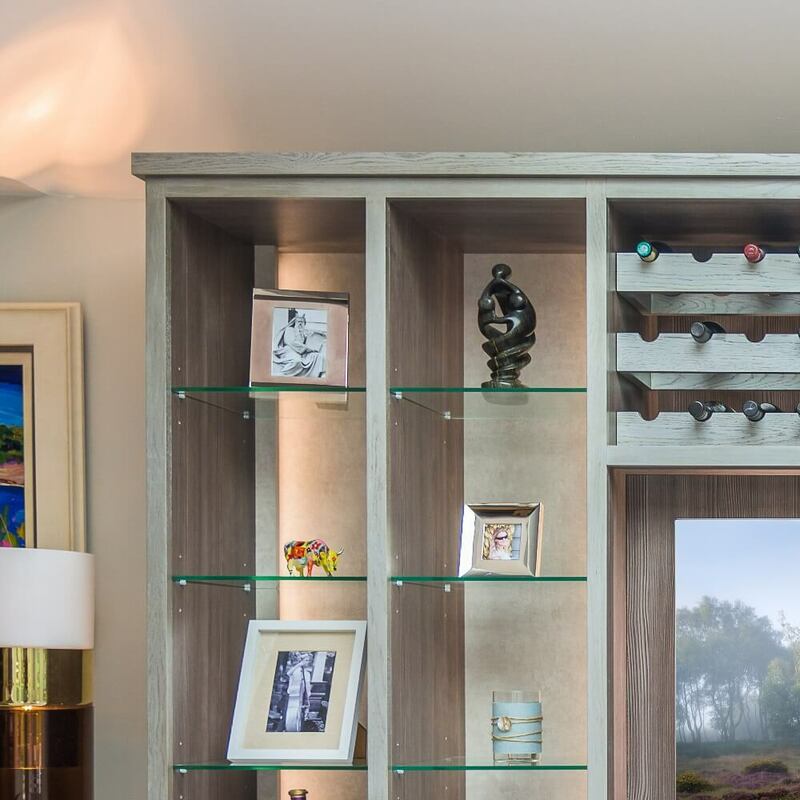 We can design and create 'fabulous funky' or 'stylish sleek' display cabinets, storage units and other lounge furniture. Made to measure furniture helps create storage and increases your living space.